A message to post box invoices – make way for Switzerland and Germany’s most-loved magazines! With this year’s «Qualitätstitel» (Quality Publications) campaign Factum is rekindling the appetite to read. With offers you can’t resist. Subscriptions to 31 famous and popular magazines and newspapers can now be made at incredible prices with discounts of up to 83%! And every decision to buy is rewarded with an additional Migros or Coop voucher to the value of 10 Francs. 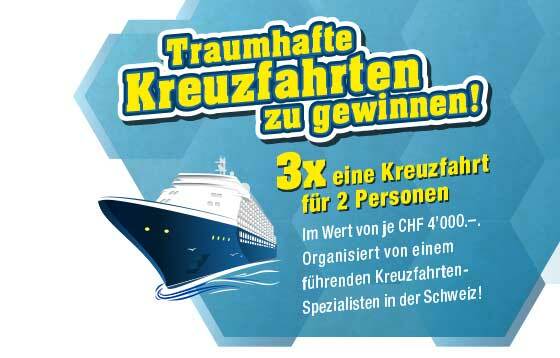 Plus: on the qualitaetstitel.ch landing page, there are three fabulous cruises to be won. With Qualitätstitel 2017, Factum continues an established campaign of outstanding success, with an average of 20’000 new subscribers gained every year. Comprising both print and online activities, the campaign has become a safe bet in every publisher’s marketing plans. And, to be honest, the publications make a pleasant change in your post box.